2019 RACING EXPERIENCE DATES FOR THE INDIANAPOLIS MOTOR SPEEDWAY AVAILABLE NOW! SEE YOU AT THE TRACK IN 2019! 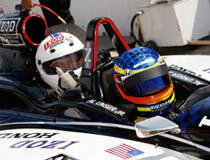 Indy Racing Experiences offers excitement for everyone. And, 2016 will be our best year yet! With many new experiences and dates to come, we offer you the exclusive opportunity to ride, drive or host an extremely unique group event. Check out our experiences, and discover the thrills previously available to only a handful of elite drivers! We make your experience the safest one possible. We use only the most updated and top rated industry equipment and safety checks. Our relationships with the best of racing manufactures means there is no worry, just fun! In direct partnership with Dallara and the IndyCar series, we offer the only unique experiences with top-notch, always up-to-date racing equipment. 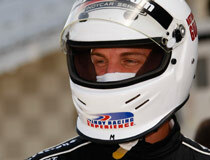 We have professional race cars and professional drivers!